Registering as a dealer for the next Long Beach Expo has never been easier. Get started with filling out some basic information and we'll contact you about securing space at the show. According to a recent survey, over 84% of attendees made a purchase at the last Long Beach Expo and a third of them spent more than $500. We're looking forward to another great show soon, with 90% of polled attendees likely or definitely planning a return. 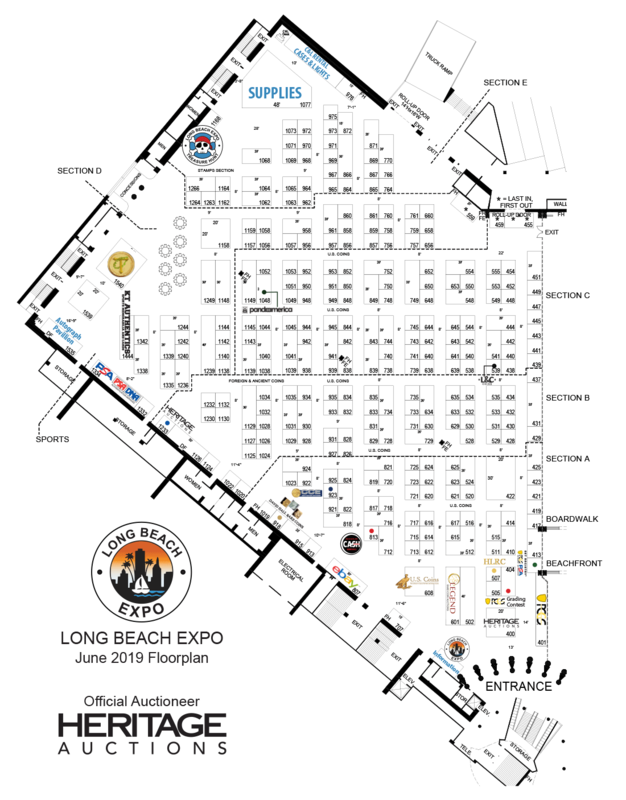 With great applications like CoinSearch, marketing that reaches all types of collectors, and exemplary customer service, the Long Beach Expo becomes the show of choice for more and more collectors. Get your brand in front of the customers that matter most and get started with pre-registration today! The next Expo is June 6-8.